ROXBURY – MassInnovation Nights hosted their 99th launch party and networking event on June 14th at the local Roxbury Grove Hall in the Thelma D. Burns Building. Their last double digit showcase featured products from African-American and African innovators, including a student spotlight team from Accelerate – Wentworth’s Center for Innovation and Entrepreneurship. MassInnovation Nights (MIN) is an organization that gives local start-ups and entrepreneurs limelight in the innovation community. Over the last 8 years, the organization has launched over 1,000 products and services according to MIN founder, Bobbie Carlton. De’Vante Mathurin (Graphic Design, Bunker Hill Community College ‘19) and Kyle Colon (Criminal justice, Roxbury High School ‘17) tabling during #MIN99 exhibit. This month OCC Youth Unleashed, a dedicated Accelerate team was featured as a Student Start up Team. 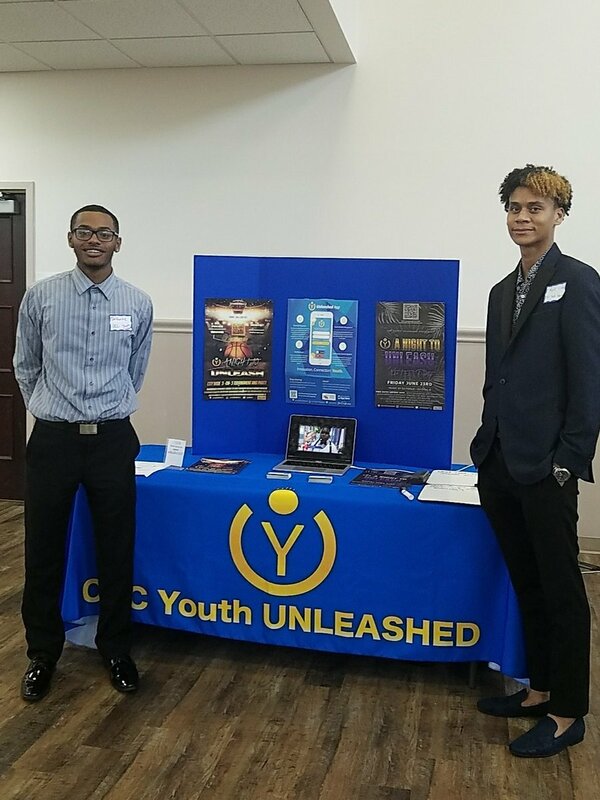 OCC Youth Unleashed is a diverse team, made up of 6 students from high school to college level with different majors, but they all have the same one goal: keep youth safe off the streets and involved in their communities. 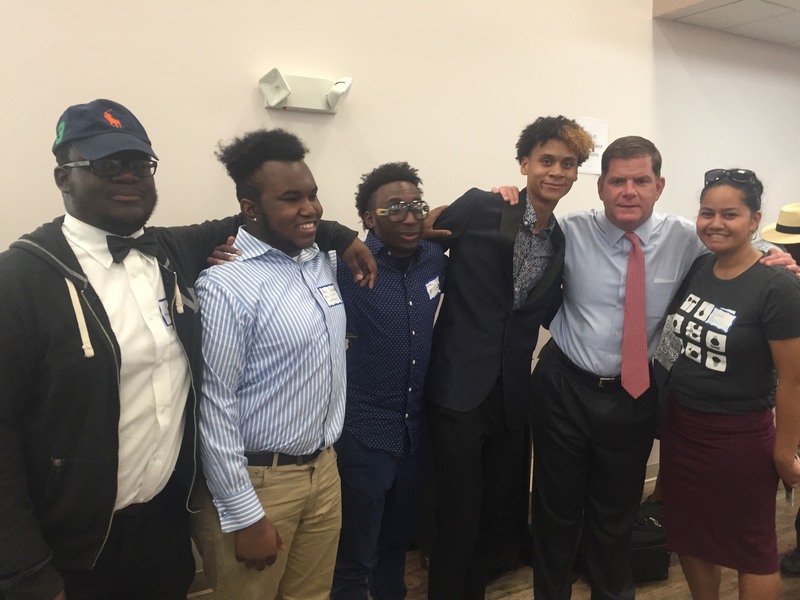 The team, made up of Robert Jr. Simon (Mechanical engineering, Dartmouth ’20); Paul Joseph (Computer Engineering, Amherst ’20); Chris Michel (BCOS Wentworth’17); De’Vante Mathurin (Graphic Design, Bunker Hill Community College ‘19); Kyle Colon (Criminal justice, Roxbury High School ‘17); Laureen Chao (Public Health, Northeastern University ’21), spent the night at their table constantly networking with the crowd of people in attendance who were genuinely interested in understanding more about what the team does and why. 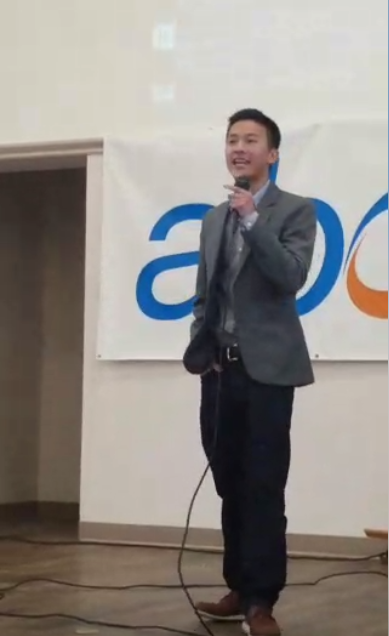 Accelerate Assistant Director, Tory Lam introduces Accelerate and OCC Youth Unleashed. 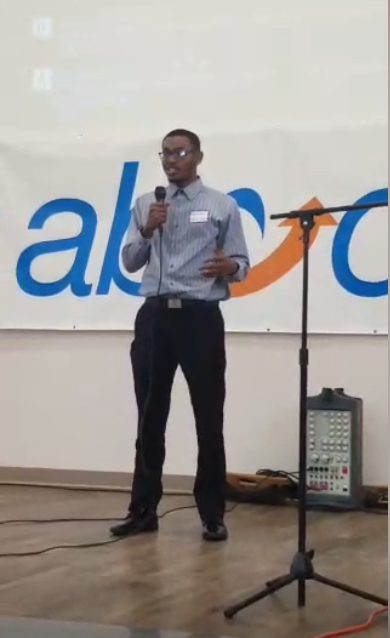 De’Vante Mathurin (Graphic Design, Bunker Hill Community College ‘19) gives 60 second pitch about OCC Youth Unleashed. As the team was the student spotlight of the evening, they also got the chance to pitch their service to the entire hall. De’Vante Mathurin spoke passionately for the team and after having practiced several times they all felt extremely confident they had gotten their point across as well as thoroughly explained their business philosophy. To find out more about OCC and follow them on their journey, follow their Twitter, Facebook, and their website.